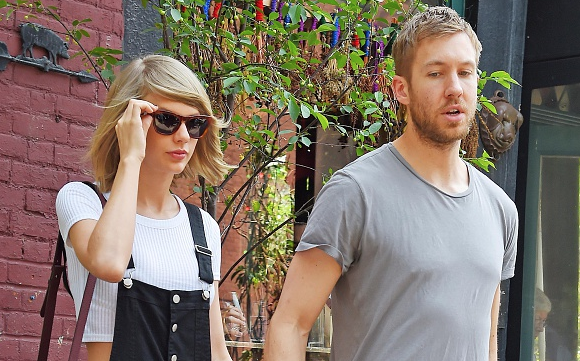 Here’s EVERYTHING About The Taylor Swift – Calvin Harris Break Up! Home FEATURE Here’s Everything About The Taylor Swift – Calvin Harris Break Up! Taylor Swift is the undoubted queen of break-up music who is only in competition with Adele. Well, living up to her reputation, the leggy blonde singer has broken up with Calvin Harris this week and this left the couple’s fans completely distraught. The couple was dating for a solid fifteen months which is a long time in celebrity years. (Also, is 15 months a jinxed time for celeb couples? – Remember Johnny Depp & Amber Heard? ) Well, we’ve managed to do a lot of research and have brought all the information about the Taylor – Calvin relationship to you. How they met – Contrary to popular belief, not all celebrities know each other. Taylor Swift was introduced to Calvin through their mutual friend Ellie Goulding at the 2015 Brit Awards. The couple apparently took to each other really soon and it didn’t take a lot of time for them to feel the steely bite of love. Calvin dumped Taylor – According to sources and reports, Calvin who is one of the best DJs in the world when it comes to popularity, was the one who dumped Swift. As unbelievable as it sounds, the relationship came to an end all thanks to Calvin. Calvin was intimidated – Swift is known as ‘America’s sweetheart’ and she is certainly one of the world’s most popular singers. The award winning singer’s success apparently was too much for Calvin to handle and that is one of the many reasons he decided to split up. Swift was not caught off guard – If you’re wondering whether Swift was absolutely devastated when Calvin decided to break up with her, you’ll be surprised to know that Swift was well-prepared. According to sources, Swift had anticipated this break up especially because the problems were brewing for a long time between the two. They had few things in common – One of the most important factors that ensure a relationship’s success is that the couple should have at least a few things in common. Apart from the fact that they came from very different worlds and schools of thought, they also had different personalities. While Swift was very outgoing and chirpy, Harris preferred keeping it cool and down –low. This eventually led to a lot of resentment. The age difference – The age gap between 26 year old Swift and 32 year old Calvin might not been huge but it did affect the relationship a great deal. According to sources, the fact that Taylor lacked ‘real-life experience’ bothered Harris and this was a huge factor in deciding the fate of the relationship. They still care about each other – Harris apparently admires Swift as a person and is proud of how she has developed as a person. He also went ahead and admitted that he respects her lot and even Swift is said to respect and admire him. Harris tweeted, “The only truth here is that a relationship came to an end & what remains is a huge amount of love and respect,” and then Swift retweeted it. They are never (ever ever ever) getting back together – Understanding that they are just simply very different people and that they barely have anything in common, it is reported that the two just won’t be getting back together. Taylor is apparently spending some time at home with family in a bid to get over her heart break sooner. Previous articleWhat Made Diljit Dosanjh Speechless? Next articleSalman Khan Takes Iulia Vantur On A Secret Holiday!